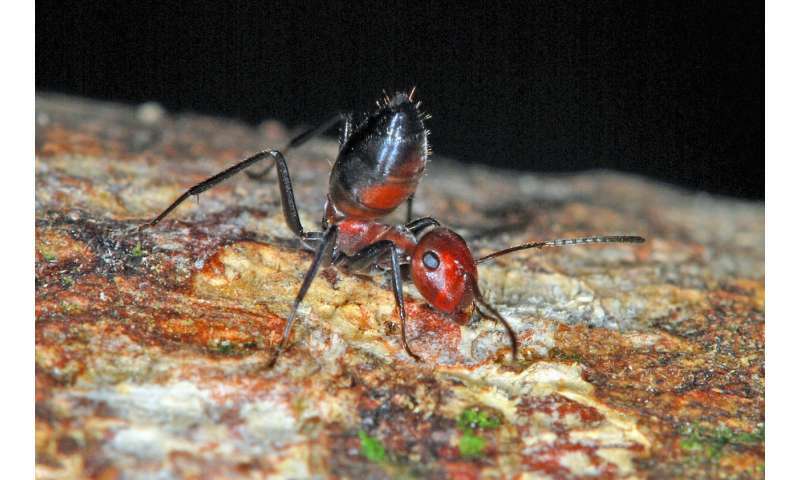 Amongst the countless fascinating plants and animals inhabiting the tropical rainforests of Southeast Asia, there are the spectacular "exploding ants", a group of arboreal, canopy dwelling ants nicknamed for their unique defensive behaviour. 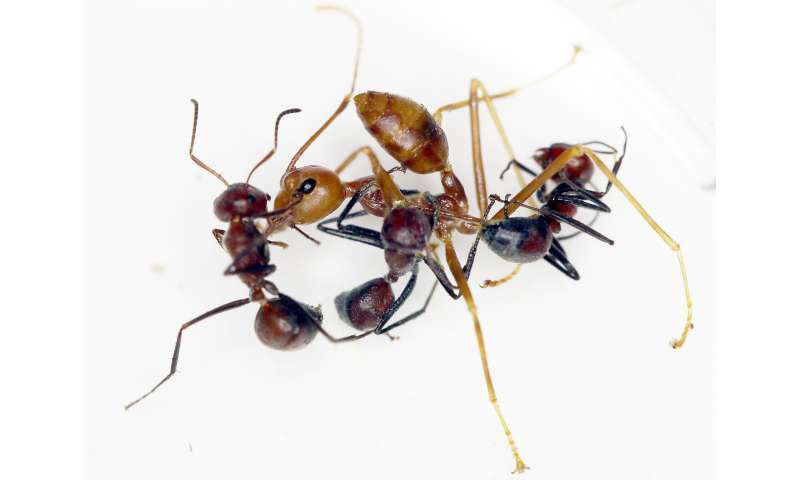 When threatened by other insects, minor workers can actively rupture their body wall. Apart from leading to the ants' imminent death, the "explosion" releases a sticky, toxic liquid from their enlarged glands, in order to either kill or hold off the enemy. Curiously enough, while these ants' peculiar behaviour was first mentioned in distant 1916, no new species have been formally described since 1935, due to insufficient evidence. Instead, scientists used to simply refer to them as the members of a remarkable species group - Colobopsis cylindrica, better known as "the exploding ants". Aptly named Colobopsis explodens, previously nicknamed "Yellow Goo" for its bright yellow gland secretion, the new species has been picked as the model species of the group, after the scientists deemed it to be "particularly prone to self-sacrifice when threatened by enemy arthropods, as well as intruding researchers". Being a "model species" means that the ant will serve as an important navigation point in future studies on exploding ants. Publications regarding their behaviour, chemical profile, microbiology, anatomy and evolution are currently in preparation, say the authors. In addition, there are several more new species expected to be described in the near future. While minor workers exhibit the ability to "explode", the other castes have specialities of their own. For example, major workers (also called "doorkeepers") have big, plug-shaped heads used to physically barricade the nest entrances against intruders. 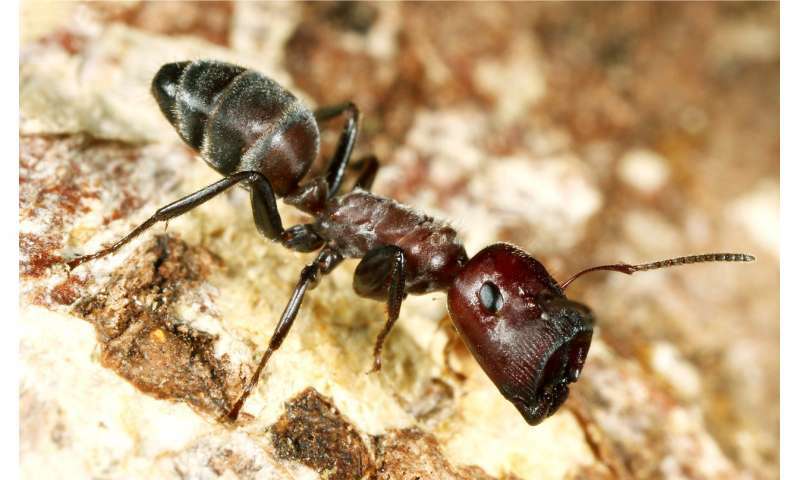 The same expedition was used to record the ants' activity schedule and conduct the first experiments on food preferences and exploding behaviour.